Breast-feeding has always been hard: Women in ancient times used terra-cotta pots to bottle-feed their babies. It’s Not Just You. Women Have Struggled to Breast-Feed Since Ancient Times. Not only is assuming that less-developed cultures know more about things like breast-feeding condescending and kinda racist, but it turns out it’s also incorrect. Two recent articles on breast-feeding highlight how new moms all over the world can have, and have long had, difficulty nourishing their children. Alongside a photo of a 4,000-year-old “baby feeder,” Dailey writes about how moms in ancient times had difficult deliveries, developed abscesses on their breasts, and struggled to produce milk. They even worked in ancient times, just like today, so they turned to wet nurses or, yes, terra-cotta pots with long spouts. 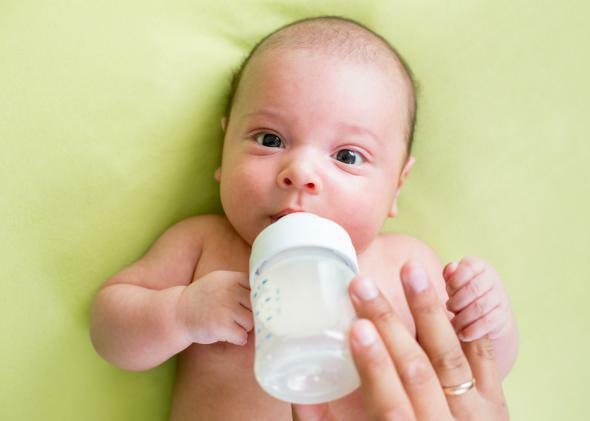 But unlike today—when formula is a completely suitable alternative and produces thriving babies—the alternatives to breast milk back then were questionable. They ranged from donkey milk to wine and honey to melted butter, and babies that were fed this way tended to die. Indeed, American culture went too far in the opposite direction in the 1950s and ’60s, when formula was pushed and breast-feeding was condemned. But it’s good to get a little historical push-back to the idea that breast-feeding is simply the most natural thing a woman can do, which is how it can feel to a new mom who is having a rough go of it. Correction, Jan. 10, 2014: This post originally misspelled Kate Dailey’s last name.